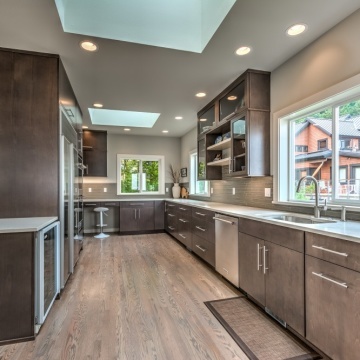 VanderBeken Remodel is an award winning remodeling firm in Snohomish County, owned and operated by Ron and Jennifer VanderBeken, since 2007. We were promised a lot of things. Schedule, budget, communication, were all disregarded once project was initiated. Felt like we were sold one thing and fought to get it delivered correctly every single step of the way. Took longer to finish than should have due to very poor planning schedule. Details for the job were non existent, forcing me to ask and question every detail with little confidence on what would be delivered. Very unsatisfied with level of service, however, finished product was satisfactory. 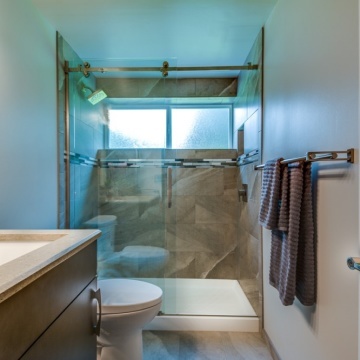 VanderBeken Remodel & Repair Your frustration with the delay in the custom tile order and how it impacted the final stage of your project is completely understandable. As for budget, nothing veered from the agreed upon fixed price except for change orders you requested. While we are confident that the quality of your project is excellent we are curious why you didn't respond to our reminder email several months ago about scheduling the 90 Day Walk Through. Of course we would be happy to have that at your convenience (or wait a couple of months until the One Year Walk Through) and discuss specific areas of concern as we were not aware of issues during the project but certainly want to address them. I am very appreciative of the high quality of work that VanderBeken provided. Everyone that I dealt with at the company was courteous and very capable. I would enjoy working with them again. My overall experience with Vanderbeken was much better than expected. They communicated frequently, their ideas were very helpful, and the quality of their work was superior. I was so fortunate to find them and would hire them again in a minute for any other home project. VanderBeken Remodel & Repair Thanks so much for your kind words. We are certainly looking forward to working with you on future projects. This is the third time we have hired Ron VanderBeken to remodel our home. In every project from converting a garage into living space with woodstove installation and granite surround, to building a detached carport, to this, our latest experience, adding over 1,000 sf to our house, leveling the yard and widening our driveway, Ron has excelled in everything. He is personable, available, and fastidious in every detail. His dedication to quality and beauty is evident in every corner of our home. For ten years we planned our "dream home" and to see it crafted out under Ron's expertise has been an amazing experience. It's more beautiful than we ever imagined!We always recommend Ron to everyone. He's the only man we'll ever hire for home projects. Ron agreed to work with me when no other contractor I contacted would, regarding the repair of defective work from another contractor. I asked a lot of him and his team regarding documentation, asked a lot of specific questions and he was super patient and accommodating. And, AND - he did an in person visit a couple of months later to see if everything was as it should be and if I had any concerns or questions. That kind of follow up and integrity is rare. 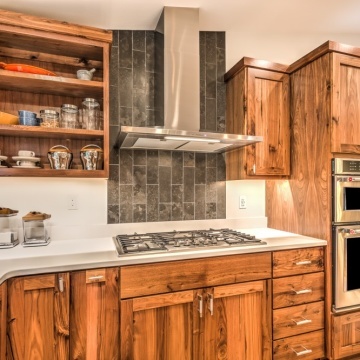 VanderBeken Remodel is worth every penny. Thank you for going above and beyond, documenting and taking many pictures of what was done by the other contractor and how you fixed it so the shower would drain properly. Thank you for your willingness to take on my project when no one else would. 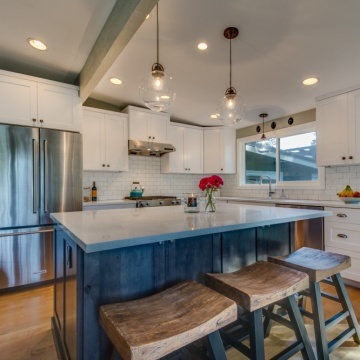 Hiring remodelers is almost like a marriage- so trust is the most important factor. We totally trust Vanderbeken to do their best, and finish the job no matter any circumstances. I was most satisfied with their customer service, communication and problem solving. 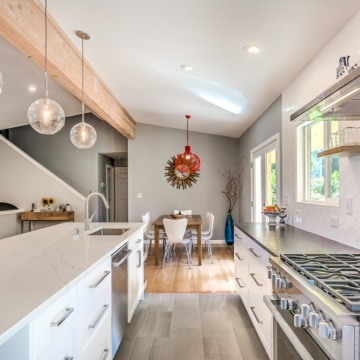 VanderBeken Remodel & Repair Working with you, in bringing your kitchen from a concept on paper to a real space for your family to enjoy, was a pleasure. 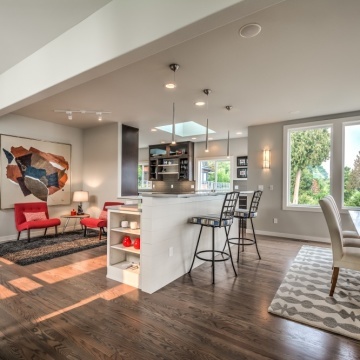 We have used VanderBeken Remodel & Repair for the last three project and we are very happy with their high quality work. I have been very satisfied in all of the areas. VanderBeken Remodel & Repair Thank you for your kind words. It is our pleasure to work with clients like you.